A newly developed quick release system for the clamp beam segment now ensures fast inter-chengeblility. 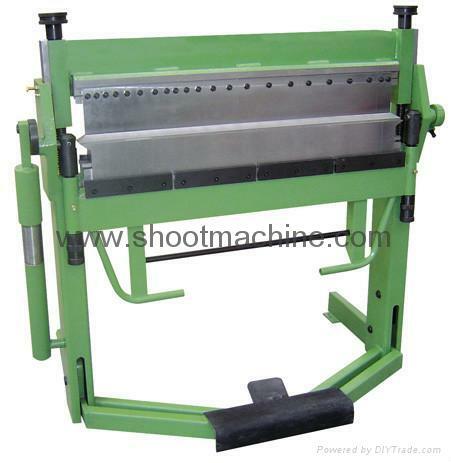 The folding beams are fitted with a counter-balance and angle stop toprovide aperfect and effortless operation within the full capacity of the machine. The optional back-gauge can be easily mounted using the pre-drilled fixing points.